Our clients and staff tell us they feel part of a family; the Scruffs’ family. Whether you are here for the first time or are one of our loyal customers – welcome to the family! Scruffs – led by brothers Garry and Grant – strive to make you feel fabulous whether it’s a trim or full style and colour. All in a setting designed to be luxurious, creative and vibrant. Our portfolio of services include Cutting and Styling Ladies and Mens’, all types of Colouring, Bridal and Prom Hair Ups and Hair Replacement. Welcome to Scruffs. The home of hairdressing: your home for hairdressing! 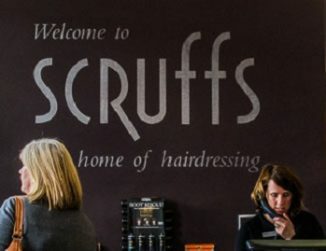 Scruffs is an independent family run business established in 1968 by Jon Chapman. Today, the 40 strong team is led by brothers Garry and Grant Chapman. 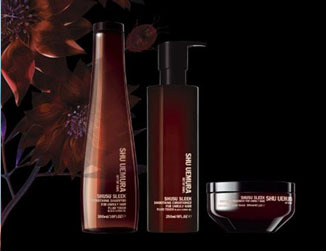 Care of your hair is as important to us as styling it. So we use, and make available to purchase, a range of the finest products including L’Oréal’s Pureology, Kerastase, Redken, Serie Expert and the exclusive Shu Uemura. Tuesdays from 4.00pmModels needed for our apprentice hair stylists. With quality cuts and colours available at discounted prices. 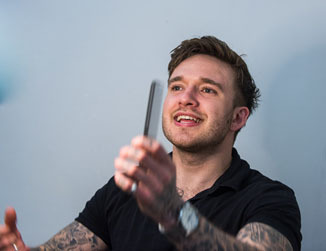 Looking to start your hairdressing career? Scruffs offer full training, College leave and excellent benefits.